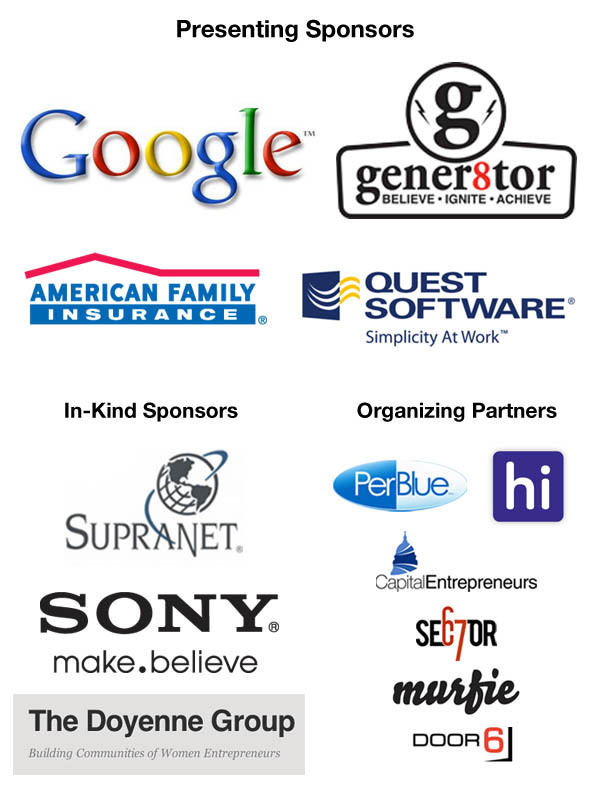 On September 22nd, Â CapitalÂ Entrepreneurs held the third and most successful Build Madison event to date. Over 70 participantsÂ descendedÂ on Sector67 to see what they could create in just 24 hours. Â Build Madison is about bringing the local community together and leveragingÂ individualÂ skills to create something new. It is amazing to see people from such varied backgrounds come together to create products, solve problems, and just have fun. Projects spanned several areas such as hardware, software, and design.Â On Sunday morning, Â teams presented their projects and judges awarded various prizes provided by our genourous sponsors. This year we awarded over $800 in cash prizes to some of the best projects. Thank you to everyone who came out and helped make Build Madison such a wonderful event. Check out the live blog from the event here, and download the project list here. We hope to see you all next year! Clas.sr is a peer-to-peer network that connects experts in any given topic with experts-in-training, for short educational chat sessions using video or screensharing. 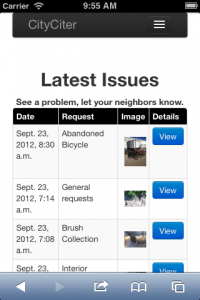 City Citer is a multi-device platform that allows everyday citizens to submit information about quality of life issues and problems they feel a municipality can address.Â Using a smartphone web app, a native Android app, or their laptop, desktop computer or tablet, you and your neighbors can send images and descriptions of these issues and opportunities, which can be rated and given priority over other issues. Scrooge Buster is a shared Christmas wish list. Â Users can create a list, share with friends, and claim items on friends’ lists. Â This helps prevent overlaps in gift giving. Â Scrooge Buster also links to amazon to help users find the perfect gift item for friends and family! 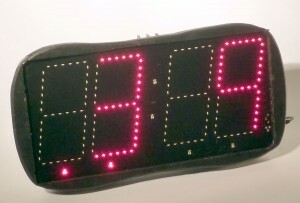 This is an application that works via bluetooth to communicate with a portable scoreboard. It enables easy interval workouts with a visual countdown. 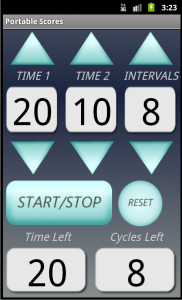 Users can manipulate the amount of time for the intervals as well as the number of intervals. It also has a buzzer component that can be turned on or off. We worked on a mobile application for the ‘Pocket Bartender’. 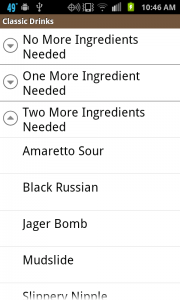 It will allow you to see what drinks you can make with the alcohols you have and, also it will allow you to see what other types of drinks you would be able to make if you’re willing to buy one, two, or three more drinks. Many more features are planned in the future. Affordable group health coverage for self-employed individuals. What I developed at Build Madison, was a game app called Mental which is a new take on the side scrolling genre. The idea of the game is that the player is an individual lost in the world of his own mind as his or her mental world begins to unravel. 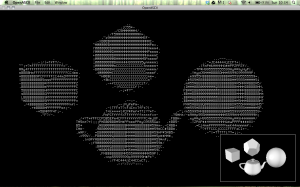 The player progresses through this puzzle game by popping inter-dimensional objects from each room (which takes up the entire iPhone screen) and using them in a different room. The game mechanic has been developed and programmed for iOS devices, so moving forward, I’ll be working on level design, plot, and finding an artist. I made this game to develop my skills, but I believe it has market potential. I’m thinking about having a kickstarter to either make the code open source or free on the app store. HillBomber is an app for Longboarders that turns the entire globe into a database of trails to hit. 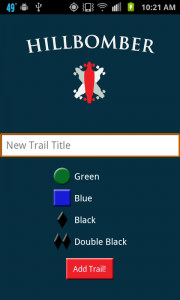 On Android and iPhone, it allows anyone to create and upload a trail and mark its difficulty to share with anyone else who uses the app. It provides a map interface that determines your location and presents trails that are nearby. Home theater enthusiasts invest in expensive displays and audio systems because they know that great picture and sound contribute to the enjoyment of movies. However, they may not realize that their system might not be presenting the picture and sound precisely synchronized as it was intended. Small sync errors (also known as “lip sync” errors) reduce immersion in the movie, and large sync errors make viewing annoying and tedious. Unfortunately, in most cases it is the picture that is late (due to extra processing in modern flat panel) and this is the opposite of how it happens in nature so we’re particularly sensitive to it. While you can buy calibration discs and sound pressure level meters to tune your AV system, I couldn’t find any consumer device to measure the AV sync, so I designed and built one at Build Madison. 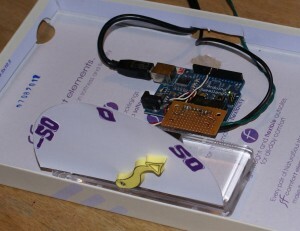 The prototype uses an Arduino microcontroller with light and sound sensors added. When you play a special file, DVD, or Blu-ray Disc containing synchronized flashes and beeps it measures and displays the offset between them. You can use this value to adjust your AV receiver to add a delay to the audio to match the video (note that HDMI version 1.3 includes a Lip Sync feature that allows a display to report its latency so the receiver can compensate but your display and receiver must both have this feature to use it, and so many people have to adjust this setting in their receiver manually, or might want to know if the feature is working correctly). This technology could be built into an SPL meter and sold as part of a calibration kit. A bike food cart serving magical coffee and food in Houghton, MI. OpenWire is a person-to-vendor SMS and email client that allows you to get the information you want when you want it. With OpenWire, you can text or email questions directly to a delegate at the venue of your choice and receive a reply ASAP. Get your info on the Wire! With the help of others I worked on my creative shoe project. With the help of multiple people, I designed a childâ€™s shoe that can expand in length backwards. To help parents save money, from being forced to buy shoes, at inconvenient financial times for them. 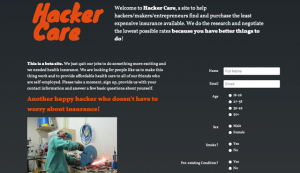 Last Friday was the grand opening of the Sector 67 hacker space in Madison. Â There were many members of Capital Entrepreneurs in attendance. Â Personally, I thought the event was fantastic. Great to see so many people out supporting this awesome new space in Madison. Check out their website for more information on upcoming events, otherwise see below for some embedded photos and video from the grand opening.